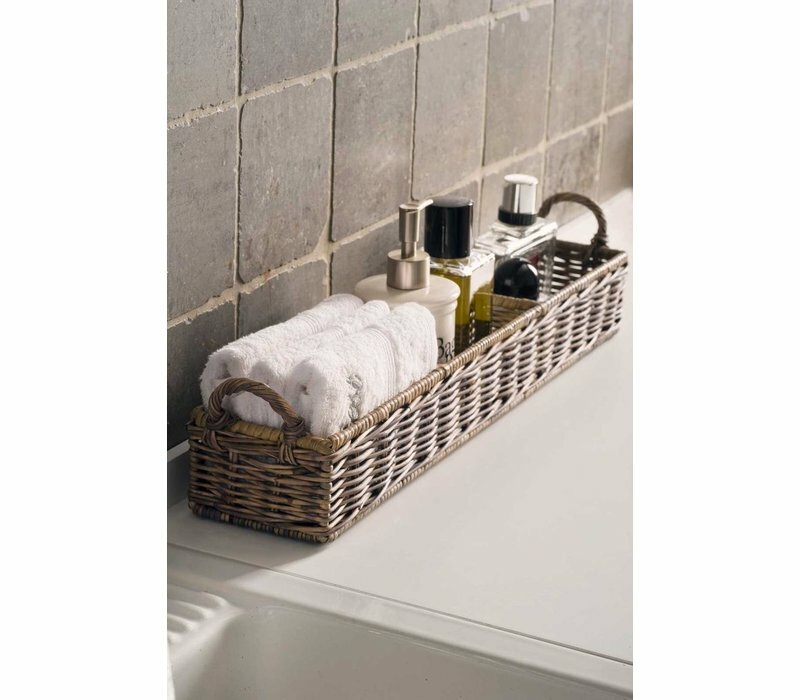 Store beauty products in the bathroom, spices in the kitchen or keys in the hall. 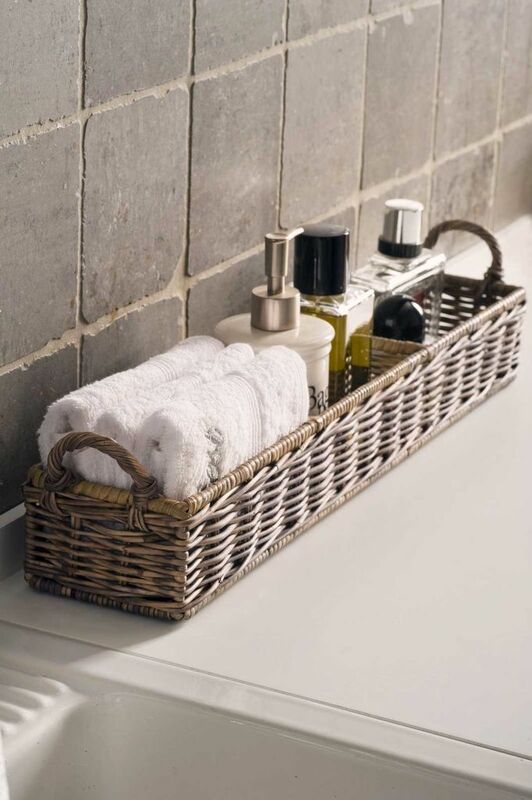 The Rustic Rattan Rectangular Basket is part of the cane collection where the cane is cut and dyed by laying it in mud. This gives it the grey colour and results in different hues between different products. 12cm width, 14cm height, 58cm length. Material: rattan.